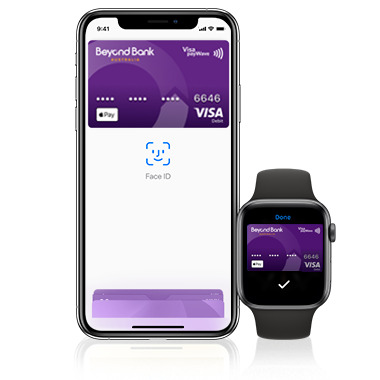 Open a Purple Transactor and enjoy Apple Pay, instant payments with PayID and award-winning everyday banking. Start paying with your phone with Apple Pay and have payments sent to your mobile number with a PayID. Open a Purple Transactor account and we can transfer your regular payments and credits making the switch simple for you. Plus you will enjoy $0 monthly account fees, no minimum deposit, $0 fees for card transactions in Australia and no dishonour fees. Your money, when you want it. Access to more than 10,000 ATMs nationally. We go beyond in everything we do. Becoming a customer with Beyond Bank is easy. Enjoy more cash for the good stuff and open an account today. Enjoy award winning app and internet banking, along with instant payments with a PayID. Want to know more? Our staff are here to help via live chat, over the phone or in branch. With your permission, we will notify organisations and give them your new account details. Easy. 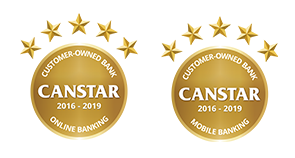 ^Faster transfers available between participating banks, a full list of participating banks is available here.